What is up, everybody? Fred Lam here and welcome to our daily huddle episode number 64. My apology for not being here live in our daily huddle for the past several episodes only because I have been traveling and ever since that I got back last week it was Friday afternoon that I got back. I am completely swamped in my business as I was stepped away for roughly two weeks, going to 10x Growth Con and being at San Diego for traffic and conversions. I do apologize for those of you that I didn’t able to come on and impact you and your business only because I know that you guys absolutely loved my daily huddle. You guys learned a lot of things from it and not being here for a couple days, I know that for some of you guys are upset and you guys weren’t able to see me live on a daily huddle. I know that it does have some kind of impact towards your business. First of all I do apologize about that. I am now back to the office for roughly a week and a half I’m going to be going to Orlando to an event called 3XC next Wednesday. I am going to again do my best to be on live every single weekday to be here for our daily huddle. Now. for those of you that don’t know what my daily huddle is about. Every single weekday, I get on at a random time usually it is at 6PM Pacific, 9PM Eastern just to come on to answer 5 burning questions that you or someone else or my followers have asked me through a link, asking question in the live chat or in Instagram or in the Facebook chat. I won’t be able to answer it because it will take me days to answer every single person’s question. So, if you want your question to be featured in our daily huddle, make sure you go to www.fredlam.com/ask. Put in your questions there and I will get it featured as soon as possible on your burning question. If you have a question that you want absolute answer on right away, you can watch back on my replays in my previous daily huddles in my YouTube channel at Fred Lam Official, just YouTube Fred Lam on YouTube you’ll find me or you simply go to my website at www.fredlam.com and there are transcripts of my daily huddle in there at the same time. With that being said. obviously I got an interesting topic today. One person have asked how to create a lookalike audience and I don’t just want to share how to create it. 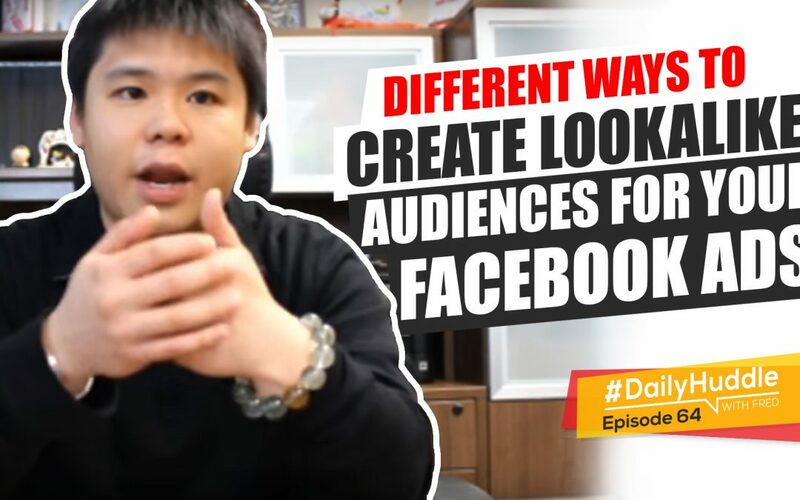 I want to give you guys the background story of lookalike audiences and the step-by-step process on how to create it so you know exactly what it is, how to do it and how massive of an impact it will have towards your business. [0:04:09] Question 1: Hi, Fred! How do you retarget Lead Generated Ad objective in Facebook? Some leads may might have clicked the ad but somehow didn't go through the process of submitting their emails. Hi, Fred! How do you retarget Lead Generated Ad objective in Facebook? Some leads may might have clicked the ad but somehow didn’t go through the process of submitting their emails. This is great! You are wanting to create a custom audience of anyone that clicked on your lead ad that opened the forum but didn’t sign up. If you go into your Facebook account, simply at the top left-hand menu of the screen, there are the 3 little bars. It’s an icon where when you click on it, it will open up a big menu. When you open that, go to ‘all tools’, you will find the link that says ‘custom audience’. Once you click on there, you’ll be brought to the custom audience list, and in there you will be able to create a custom audience. Instead of uploading an email address, what you want to do is to click on engagement and when you click on engagement, you will have the option to simply click on a tab where it says ‘anyone that opened a lead form’ and that lead form is going to be the lead form that you have used for your lead ads and from there, it will say you can go after people that open up the lead form but did not submit their email address. That’s how you create a custom audience list of anyone that clicked on your lead form, didn’t give you their email address and simply retarget them with something else. That’s what you want to do. [0:05:55] Question 2: I have had one customer who has made purchases on my store but I see pending payments. Have send a draft text but same thing is made. What should I do? I have had one customer who has made purchases on my store but I see pending payments. Have send a draft text but same thing is made. What should I do? Mourice, there are several reasons why you may have pending payments : (1) if you are accepting PayPal the other person, your customer use something called e-check to give you their money, what e-check really is is that that person don’t have a credit card on file on PayPal or they don’t have enough funds in their PayPal account, they have to use something called e-check. What e-check really is is that PayPal will tell you hey there is an order, do not process it yet because we are in transit of getting funds from your customer’s bank account into PayPal and then PayPal paying to you. So when you have a pending payment do not process the order, do not do anything, you can email the customer to tell them hey you have the pending payment and you obviously want to look at what sources he used for payment and it is PayPal you simply tell them we’re going to hold on to your package before we shipped it out until we have collected the money from your PayPal account, very simple at that. (2) Is simply through Stripe. If you’re using Stripe for your Shopify account, sometimes for somewhat reason, there’s either a declined or if the transaction wasn’t able to go through, you want to go into your Stripe account to check out what is going on and why there is a pending payment. Majority of times it’s just a decline and you want to take a look into it. So if you have done your due diligence logging into your PayPal account, logging in to your Stripe account, there’s no problem with Shopify payment. Shopify payment won’t have this pending payment problem but at the end of the day if you had this problem, if you’re actually in PayPal or in stripe, then all you can really do is to contact the customer, find out about it, see what he or she wanted to do but you want to tell them straight up that you are not going to ship on the package until you actually receive the product. Now, if the customer never email you back or reply on your point of contact, just drop it. Don’t worry about it until that pending status went into approved. I hope that helps you out. [0:08:42] Question 3: Funnel is the next big thing in order to increase AOV which is average order value, but i get lost on which app to use, so which app would you recommend for building funnels within Shopify. Good day, Fred! Loving all the answers you provide inside your daily huddle show. It does really help a ton. Keep it up! Thank you very much. I got a question here. So funnel is the next big thing in order to increase AOV which is average order value, but i get lost on which app to use, so which app would you recommend for building funnels within Shopify. Here’s the deal, I’m not doing any favoritism or anything. If you want to build funnel, you need to get Zero Up. 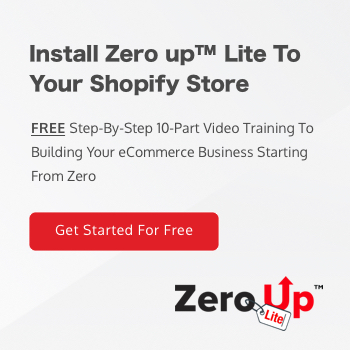 Zero Up gives you the complete ability to build a sales funnel with a profit multiplier and have everything in place that should increase your average order value. Again, that’s what I recommend because I own it. I’m selling it right now. You want to check into Zero Up because you asked about it. Now are there any other options out there? The answer is YES – one of them you can look into click funnels, it’s pretty hefty is like $200 a month, but for us with Zero Up, it’s only $1500 for a lifetime access. So you can play-around with it and go from there. So when it comes to sales funnel building, I would have say click funnel is one of the good ones out there. 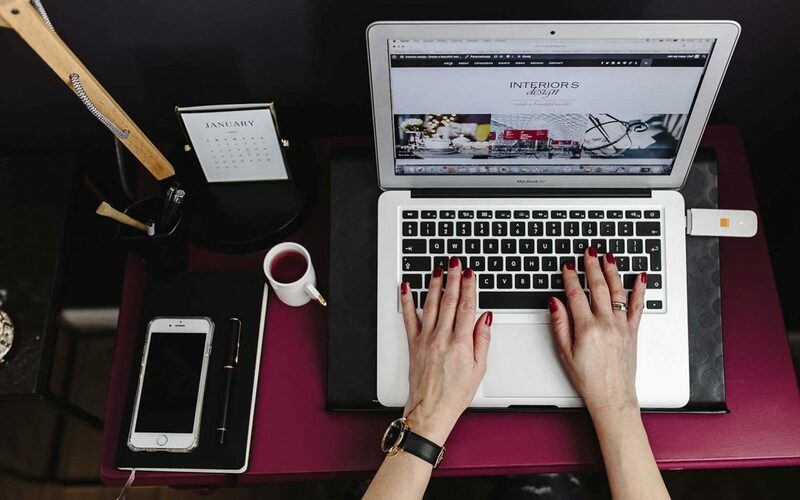 If you really want to build a sales funnel and that’s what you need to do for your eCommerce business. [0:10:11] Question 4: Can you give us a couple of places in the US that can pack our eCommerce store orders and ship out for us of a much cheaper price than Amazon like $1 per order. You mentioned that about the one you use in episode number 53 but I was not sure about the spelling so I cannot find it. Can you give us a couple of places in the US that can pack our eCommerce store orders and ship out for us of a much cheaper price than Amazon like $1 per order. You mentioned that about the one you use in episode number 53 but I was not sure about the spelling so I cannot find it. Here’s the deal, if you guys are ready to move your fulfillments into the US which I highly encourage you to do. This is actually in the scaling part. If you start to do like a 100 orders on a single unit per day on a particular product through AliExpress or DHgate or any other drop shipping sites, you want to look into inventorying your product. 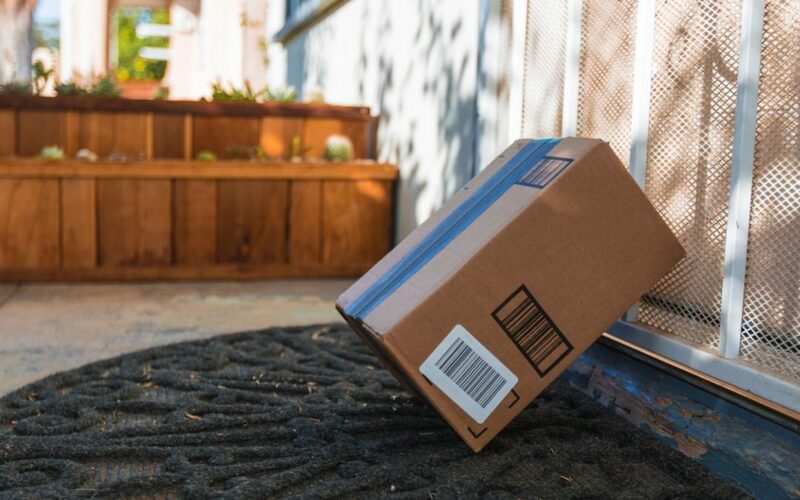 By doing so, it gives you the ability to (1) control the delivery and have it go faster, (2) giving you the ability to potentially get a lower cost of goods because now you are buying in bulk and (3) giving you the ability to put marketing promotions inside every single package that is being sent to your customer like a coupon code, a pamphlet about your products. This is done the scaling side and if you are absolutely ready for this, the company that I can recommend you and I’m not taking an affiliate cut or anything, there’s nothing in for me. I’m just sharing with you what company that I am using. The company that I’m using is called Push Innovation. it is actually owned by a buddy of mine, a really close friend of mine. They just started it because a lot of their clients are looking for it. So, you want to take a look at Push Innovation. You can tell them lightly about my name, some of the Account Managers know who I am over there so you can look into Push Innovation. That is Push Innovation fulfillment and I think they are based in L.A. from what I remember. There’s also another company in Abuze that I can recommend but I forgot the name on top of my head because I chose to use my friend over the other one. There are a lot of ones out there that’s about a dollar but what I use is actually Push Innovation. I hope that helps you out. [0:12:51] Question 5: You mentioned about uploading existing email lists to Facebook for getting lookalike audience strategy. Can you please explain besides email list, what info are required before I can upload them as custom audience? Thanks and waiting for the answer. Hi, Fred! In your daily huddle you mentioned about uploading existing email lists to Facebook for getting lookalike audience strategy. Can you please explain besides email list, what info are required before I can upload them as custom audience? Thanks and waiting for the answer. First of all, before I share the process of how to create a custom audience list and doing a lookalike, in custom audience you can actually create a custom audience based on three things. One of them you don’t really use it unless if you own a mobile app which I know a lot of you guys, a lot of my followers, you guys don’t own a mobile app even I do not own a mobile app. So, I’m going to cancel that out. So, there’s two ways for you to actually create a custom audience and create a lookalike. The first one is actually engagement on Facebook or also website. So any engagement with the pixel, so let’s say someone engaged with your Facebook page, someone engaged with your video or watched a video on 25%, 50%, 75%, or 90%, there is also basically one that is be able going to your website based on the pixel. So any engagement and interaction of your pixel of your Facebook page, you can actually create a custom audience of those pool people that took a certain action on whatever you desire. The second is actually uploading your data into Facebook. Now, when you’re uploading data into Facebook, the primary one that you wanted to use is obviously emails. A lot of people nowadays use the same email address as their Facebook account, so you want to use emails. If you do have or collect customer’s phone number, you can also upload phone numbers. So it’s not just strictly in emails, you can also upload phone numbers at the same time and how Facebook is able to get phone numbers, it’s actually very simple Facebook Messenger get access to your phone. So Facebook now knows what phone number is associated with your Facebook account. Those are the two best ways for you to create a custom audience. You don’t really need a phone number, it’s optional. As long last thing you have to email address and it’s going to be good. The rates of Facebook finding the email address and tying it to a user, is actually pretty high. With that being said, here’s what you can do you can put out a list of custom audiences. For us, what we do is we have a custom audience of our customers so we upload our email database into Facebook. Facebook knows that these are all our customers. We also create a custom audience based on the pool of people that have purchased. So if someone let’s say bought my Porsche keychain, if that’s the case that I can say, “Hey, Facebook I want you to add any new people or any customers that actually bought my certain product into my custom audience list.” That’s what you want to do. 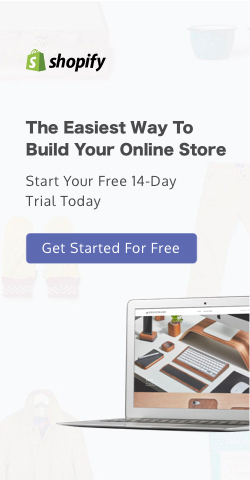 We also basically create anyone that goes through our landing page anyone that goes initiating checkouts and then what we also do is anyone engaging with four videos of 50%, 75% and 90%. So, these are what we called seed audience. Now what seed audience really is – is that you’re telling Facebook these are our core people and what I want you to do is to create a lookalike segment of these core people. So, we call these the seed list. Let’s take email address as a sample. You’re basically telling Facebook, “Hey Facebook, once you create a custom audience of everyone in my email list, go find me the similarities of these people and find me more customers like my email address that I upload.” And what Facebook’s going to do is that Facebook has a lot of data points. They will actually go and analyze your custom audience list. In this case your email list, they will analyze who these people are. Number one, who they are, what their activities are, what their demographics going to be, where their geographic location, what are their habits on Facebook and they will take all these data point and say okay we’re able to identify that your seed list of all your email audience are basically let’s say liking a Porsche, liking this, liking. With that information, Facebook will then go out into their entire network and basically say okay who else in United States that has the most similarities to your custom audience and when that happens Facebook will create your lookalike audience and obviously there is a 1% all the way to 10%. The 1% is basically super most likely to be similar to that audience. When the number goes up to 2% 3% 4% 5% 6% 7% 8% 9% and 10%, those are people that starts to drop off even more, but your audience size gets bigger. So, the data point on audience – the 1% will have the most similarity then it will go into less, less, all the way to 10%. So, again the seed list is actually very, very important. You got to basically tell Facebook exactly who these people are so they can write in the create the right lookalike audience. For you to do this again you have to first create your custom audience, (1)by uploading your email list you can create one, (2) is simply running the lookalike audience of an event of your standard event pixel, engagement with your video, engagement with your Facebook page etcetera. Now for my testing, for everything that I’ve done, the best lookalike audiences are always the 1% lookalike. If you can get the 1% look-alike to convert, it is literally a 7-figure business, right on the back. No doubt about that. Multiple business of mine once I’m able to get 1% lookalike to convert, it is easily a 7-figure business already. Obviously when you’re able increase and get 2% to work, 3% to work, 4% to work, the beauty is as follow, you’re just going to be skyrocketing your business using the same product, same creative and you’re, just tapping in into a bigger market and that’s what you are doing. Now, with that being said here’s a tip for every single one of you that are using lookalike audience based on uploading your email lists and you are absolutely going to be surprised about this. When you know your custom audience list and run let’s say that you have uploaded your January customers, you have uploaded to Facebook and run a lookalike audience, now when you have done that things are doing well, things are doing great. When you upload the February list into Facebook and run your look alike audience again you will actually see the following, you will see that you are going to actually not have a 100% overlap. You may assume you do but interestingly enough, each time you upload your list to run a lookalike audience Facebook takes different data points to look for the similarities. So, if you actually upload your list frequently and rerun your lookalike audience and run an audience overlap, you will see that even though you are using your same list and you’re just adding more customers on a daily basis in there, you will see that you are going to attract a different set of people. Here’s based on my discovery and based on what we’ve been doing. Let’s say that your January email list of lookalike audience is working. It doesn’t mean that your February will work at the same time. It’s very interesting, you’ll see very interesting data, even though there’s still the same customers but when you run the lookalike audience again on February list, it may not work sometime so what you wanted to do is to every single month upload a new email list to rerun the lookalikes because the lookalike is not going to update itself. It will only look the similarities within the time that you have created it. Make it a habit that every single month upload your new audience list or your customers list and rerun the look-alike, but here’s one BIG, BIG and BIG important step that you got to take. If you’re doing this route, let’s say that you’re running the 1% lookalike on your January email list and 1% lookalike on your February email list and you have 2 ad sets running targeting the January and February, there will be audience overlap. So, what you wanted to do is that make sure that your January list, when it is running and you’re creating your February list, make sure you create an exclusion in your February list to exclude the January, and March let’s say if your January, February, March running that your March should actually exclude the February and January at the same time. Now, I am going a little bit advance if I lost any of you re-watch my replay of the video and it will drastically help you out. But for those of you that caught it and understood exactly what I was talking about, let me know write in the comment below what you guys think about this amazing tip. I’ve been using it. It’s been amazing for me but let me know what your feedback is in the comment section. Love to actually get your intel, love to actually get your feedback on all these. I got some people asking me do I offer personal mentorship. At this point, I do not, and the reason why is me doing personal mentorship, it will require at the same time of me doing basically mentorship to all of you guys. So, I want to maximize my time and as you all know, I always speak about this time is something that no one can ever buy. For me, I try to maximize my time with my knowledge to share to the public so I rather do like big group sessions rather than one-on-one personal mentorship only because it just doesn’t – yeah a lot of time. I do have a couple mentees though and those people actually are ones that I know them personally, we’ve met many times, we hung out. I see a lot of potential in them and that’s where I’m actually building them and shaping them. One of the person is Connor James. He’s one of my mentees as well and also have a couple other ones, those are people that are absolutely fantastic and amazing to work with. So, yesterday was our kickstart 500 grand winner announcement and I wasn’t here live for our announcement. So right now I’m going to actually go into our kickstart 500 grand winner announcement. Every single week, all I’m going to do is to simply invest $500 into one single individual that they can build their business through ads, through basically building a store, putting into affiliate marketing or and basically investing into their own knowledge. So if you guys are excited let me know write in the comment box below and I will open up my email to figure out who it is. I got to search it up. I’m now using obviously my phone on Instagram live so I’m not able to figure it out. So, our kickstart 500 winner for today is Byro Sultan. Congratulations on winning your kickstart $500 grant. Now again I’m excited for all these because my goal is to invest into an individual every single week and obviously if you get your work done after we send you your checklist, you can get on a 1-hour consultation call with me and there’s a stipulation. I’m going to record it and I want to put it on my YouTube channel so everyone can learn from it at the same time. So everyone congratulate Byro for winning $500 of our kickstart 500 grant and if you want to get qualified into a raffle to get our kickstart $500 grant, make sure you go to www.fredlam.com/500.